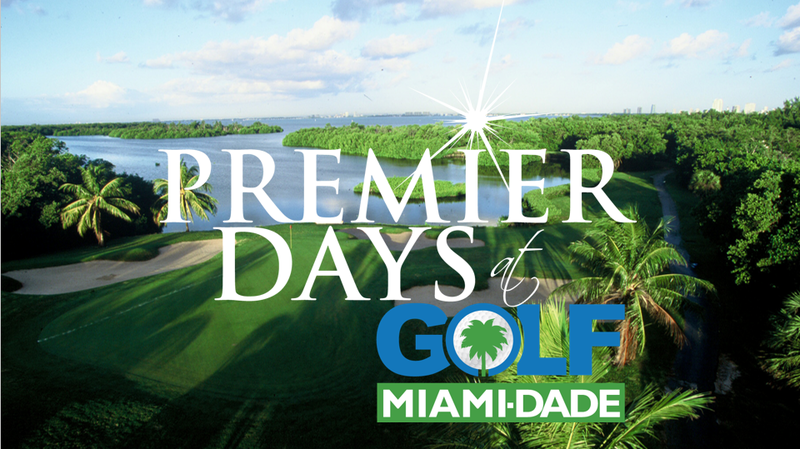 Introducing Premier Days at Golf Miami-Dade! Your Summer Just Got a Whole Lot Better. For a limited time, bring any current golf summer membership to any Golf Miami-Dade course and receive a FREE Guest Patron Membership. You’ll receive two of our current Patron Member benefits so you can experience the Golf Miami-Dade difference. Terms and conditions apply. 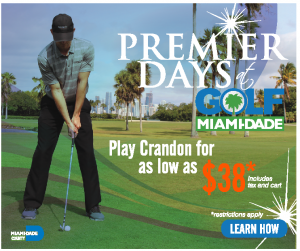 Valid at all Golf Miami-Dade facilities. Advanced tee times- Up to 7 days advanced bookings! Want to learn about becoming a year-round Miami-Dade Patron Card Member? Click Here to learn all the additional benefits including a Free Summer Round of golf! On sale now in the golf shop at your favorite Miami-Dade County golf course.